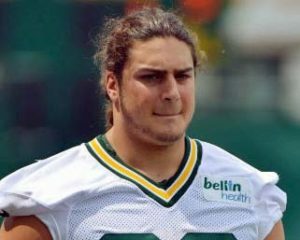 The Green Bay Packers have signed left tackle David Bakhtiari to a four-year contract extension, worth a reported $51.67 million. The deal averages $12 million a year, which puts Bakhtiari among the top five highest-paid offensive lineman in the NFL. Bakhtiari will receive roughly $17 million in guaranteed money at the time of signing and then earn an additional $10.7 million in March roster bonuses and workout pay. The extension for Bakhtiari comes almost two weeks after they released Josh Sitton. The Packers have two other offensive lineman set to become free agents at the end of the season, T.J. Lang and J.C. Tretter. The Green Bay Packers wrap up the practice week with a short workout today before heading east for Sunday’s wildcard playoff game against the Washington Redskins. The Packers listed 18 players on their injury report on Friday. Corner Sam Shields is listed as doubtful with a concussion. Left tackle David Bakhtiari walked without a limp in the locker room on Friday but offered no comment when asked about his availability for Sunday’s game. He is listed as questionable on the injury report. 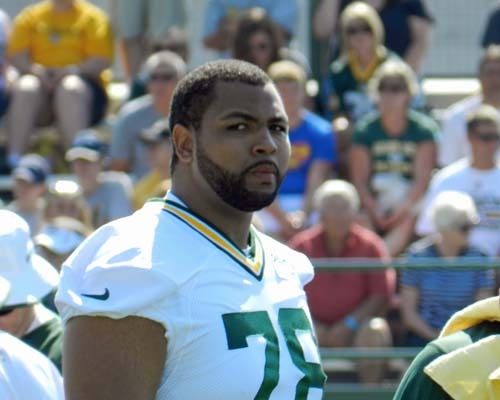 If Bakhtiari can’t play, Mike McCarthy said earlier in the week that Josh Sitton would stay at left guard. It would appear to leave J.C. Tretter to play left tackle as the most likely replacement. Punter Tim Masthay finished the regular season with a punting net average of 40.2, which ranked 14th in the NFL, but set a Packers franchise record. Masthay’s previous best ranking in net average was 17th in 2010. His previous best net average was 39.0 in 2013. Long snapper Brett Goode underwent surgery to repair a torn ACL in his left knee on December 28. His contract expires at the end of the season. He will be an unrestricted free agent. His replacement, rookie Rick Lovato, has a two-year minimum deal that runs through 2016. 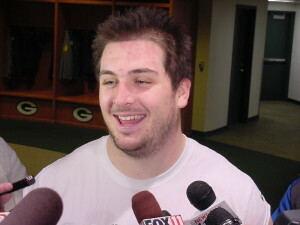 Corey Linsley takes over at center for the Packers. 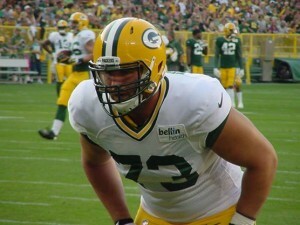 As expected, the Green Bay Packers placed center J.C. Tretter on injured reserve with a designation for return. The move opened up a roster spot for the Packers, who quickly filled that spot by signing center Garth Gerhart off of the teams practice squad. The Packers then signed guard Josh Allen to the practice squad to fill the open spot. Tretter won’t be able to return to action until after eight weeks. He is eligible to resume practicing after six weeks. The 23-year-old Tretter spent the entire offseason and training camp working as the starting center before suffering a left knee injury in the team’s third preseason game against Oakland on Aug. 22. Rookie Corey Linsley takes his place in the starting lineup. Gerhart is a first-year player out of Arizona State. He was on Green Bay’s practice squad at the end of the 2012 season and the final 12 weeks and playoff game in 2013. 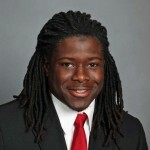 He originally entered the league as a non-drafted free agent with the Cleveland Browns in May of 2012. NFL teams were able to start placing players on injured reserve with a recall designation on Tuesday and that could be where the Green BayPackers are headed with injured center J.C. Tretter. Tretter is expected to miss up to six weeks with a knee injury. He missed his rookie season with the Packers after breaking his ankle on the first day of OTA’s. Placing Tretter on the IRreturn list would open up a roster spot for the Packers. Tretter would be eligible to play after 8 weeks and practice after 6 weeks. Rookie Corey Linsley will start at center for the Packers in the regular season opener at Seattle on Thursday night. If something were to happen to Linsley, the Packers would have a number of backup options, one of which would be to move Josh Sitton to center. Packers loss to the Giants. There’s a chance Sherrod’s duties could increase this week, especially if Don Barclay isn’t ready to return to the lineup at right tackle this week against the Minnesota Vikings. Yesterday (Wednesday), rookie J.C. Tretter practiced for the first time since Day 1 of OTA’s. On that day, Tretter broke his ankle during a fumble recovery drill. Tretter spent the first 11 weeks on the P.U.P. list. He now has three weeks to practice before the Packers have to make a decision on him. The Green Bay Packers had 12 players on their injury list and of the twelve, seven players didn’t practice at all. Don Barclay (knee), Casey Hayward (hamstring), Sam Shields (hamstring), Nick Perry (foot/ankle), Johnny Jolly (groin), James Nixon (knee) and Aaron Rodgers (collarbone). Minnesota head coach Leslie Frazier has named Christian Ponder the Vikings starting quarterback for Sunday’s game at Lambeau Field against the Packers. The Green Bay Packers are on the practice field Friday morning as 2013 Training Camp begins. Sam Shields was a no-show this week at Packers‘ OTA’s. Shields is a restricted free agent and has not signed his 1-year tender offer of just over $2-million. Shields would like a long-term contract extension, but the Packers are in no rush to give him that deal with Casey Hayward and Davon House providing plenty of depth. Shields played very well in the final two months of last season and the Packers would love to see him take advantage of these off-season opportunities. Packers draft pick J.C. Tretter, who was expected to compete for a starting job on the inside of the offensive line, broke his ankle in practice on Monday and will miss several months, possible the entire season. Tretter is expected to undergo surgery soon. In Green Bay, adding two new running backs means the current stable of backs could be out of work soon. 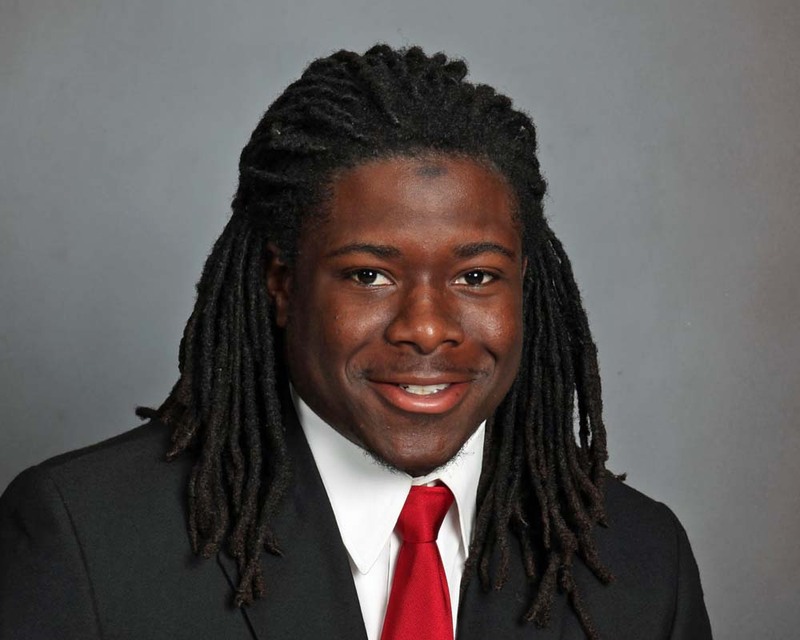 Selecting Eddie Lacy in the 2nd round and Johnathan Franklin in the 4th round is a big statement that the Packers aren’t happy with their ground game. James Starks and Alex Green could be battling in training camp for roster spot. Coach Mike McCarthy had talked before the draft as if DuJuan Harris would be battling for a starters spot. It would appear that job could be Lacy’s to lose.